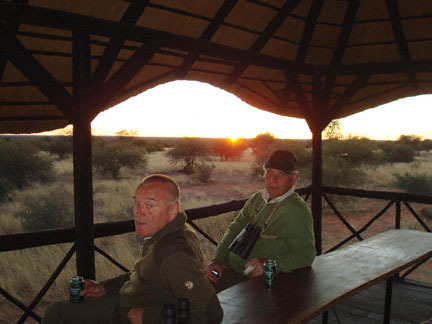 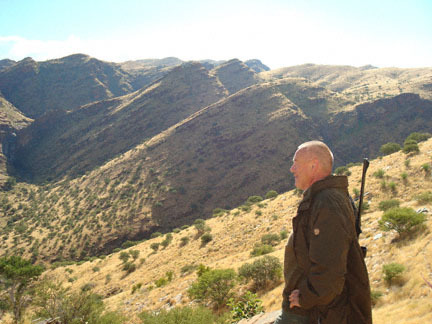 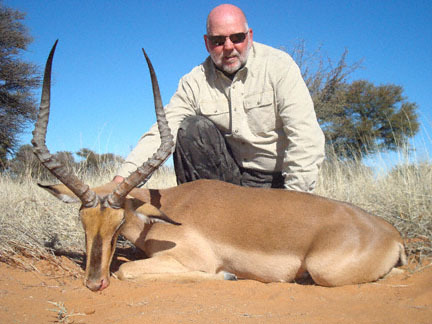 For this Namibia hunting pictures -page, we selected some of the best pictures we took of Uitspan Hunting's clients and hunting friends in recent years. 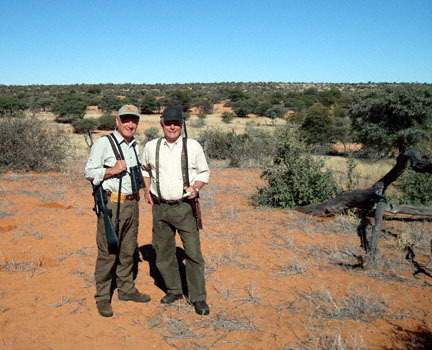 As we went through our image-collection, it brought back a lot of fond memories of all the enjoyable times, hunts, experiences and fun we've had with so many people. 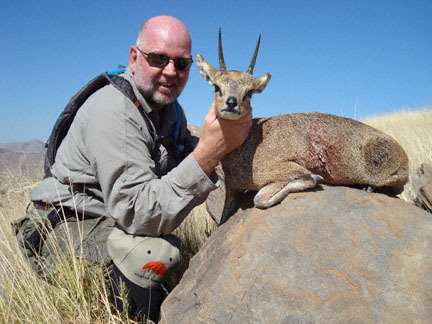 For those of you who hunted with us before...maybe you will find yourself part of these Namibia hunting gallery. 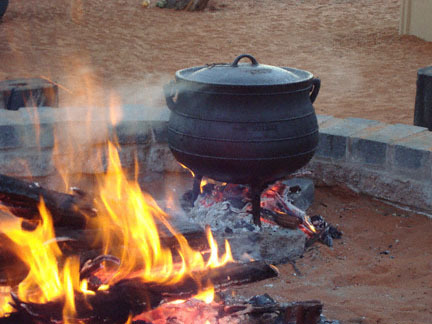 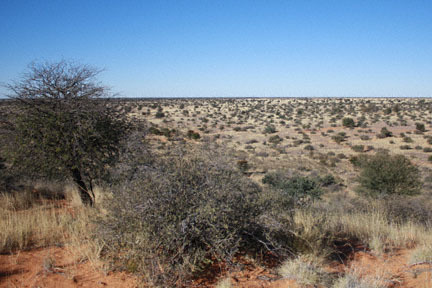 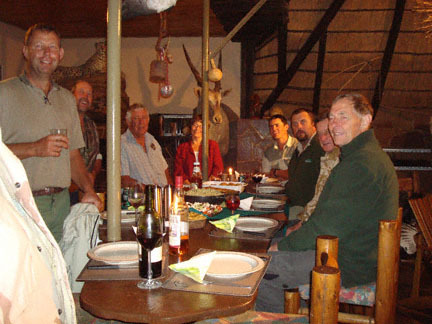 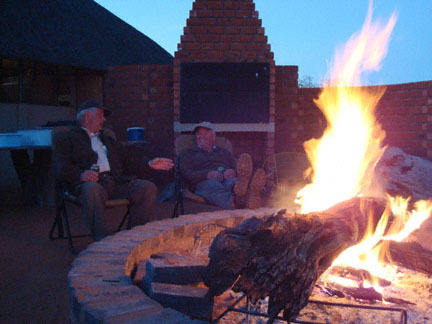 Enjoy it and may you also relive our exceptional moments together in the Kalahari! 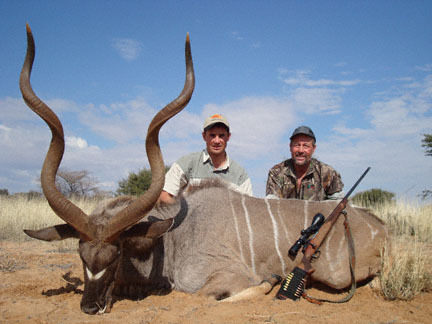 For those of you who never visited us.... these pictures will give you a preview of some of the trophies available in the beautiful country of Namibia. 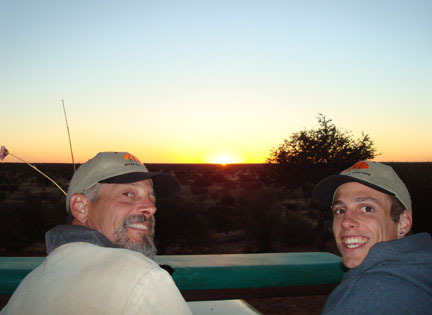 "Youth is not a time of life  it is a state of mind. 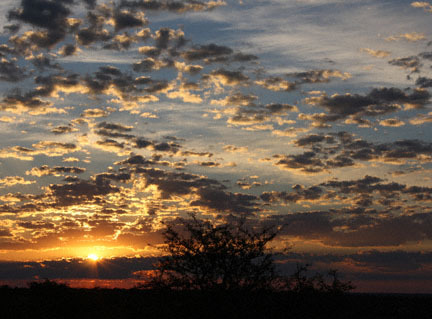 Nobody grows old by merely living a number of years; people grow old by deserting their ideals." 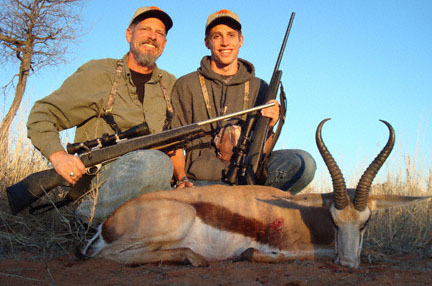 If you have this youth, an appetite for adventure and the desire to experience hunting in Africa, contact us here for more information. 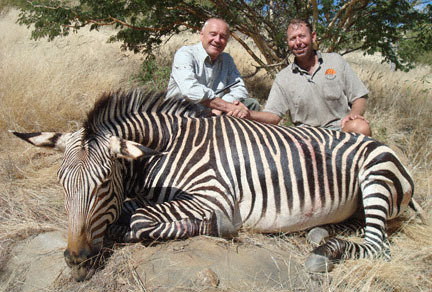 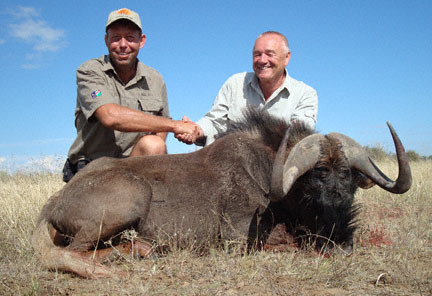 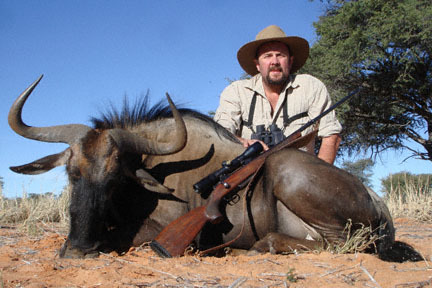 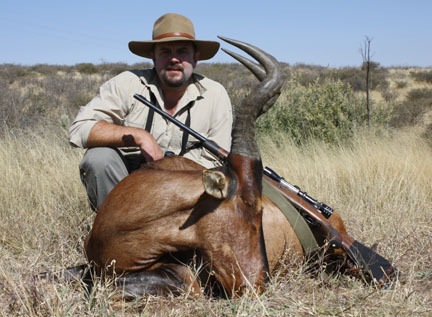 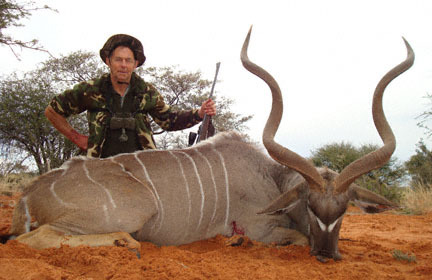 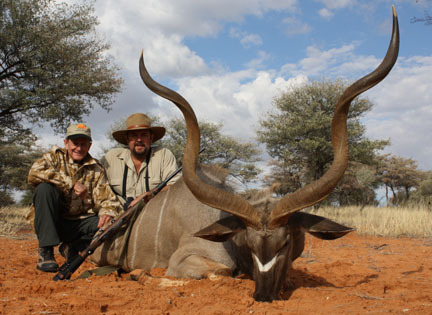 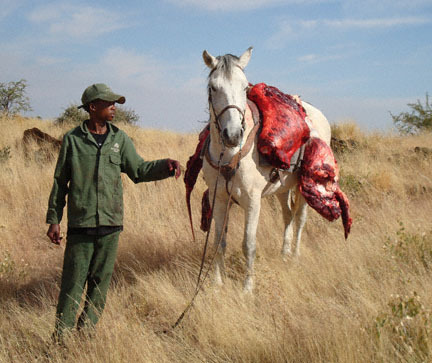 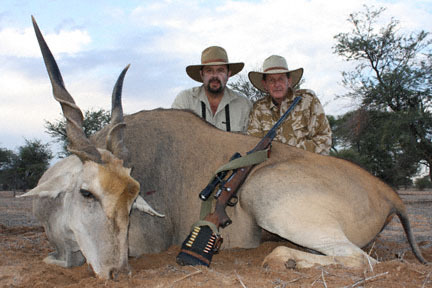 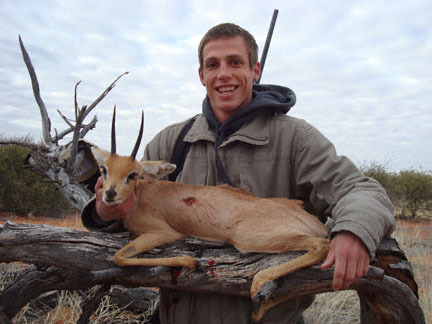 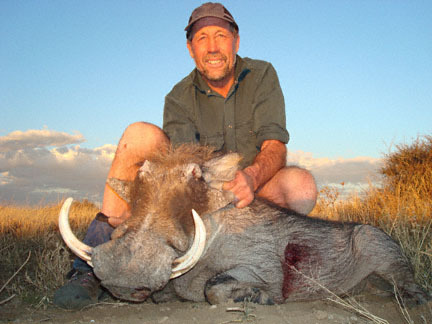 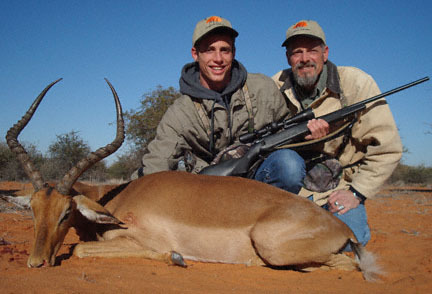 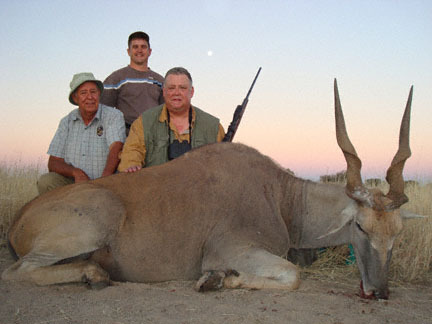 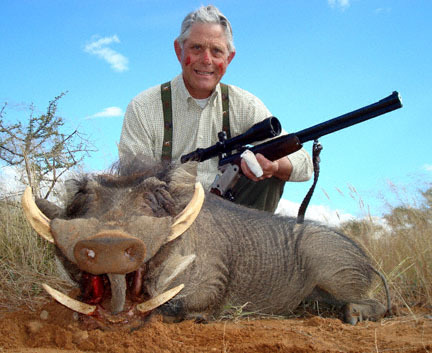 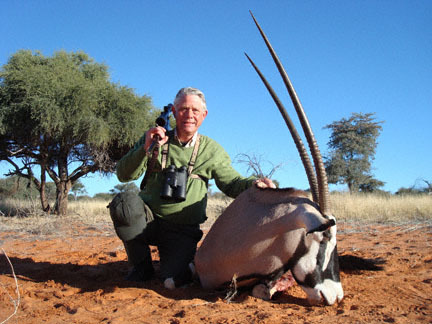 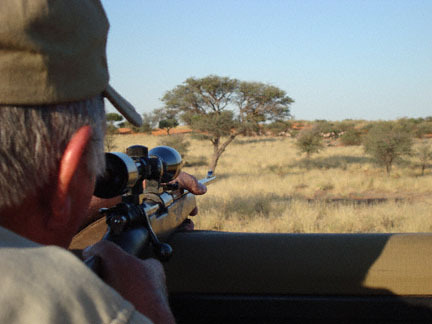 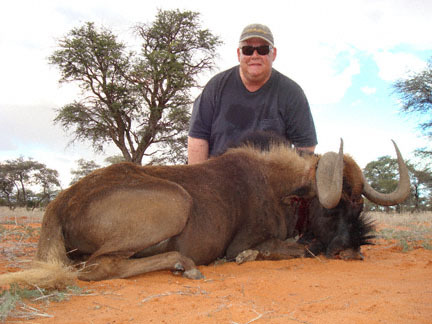 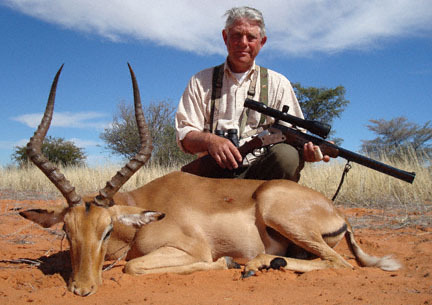 Enjoy these Namibia hunting pictures! 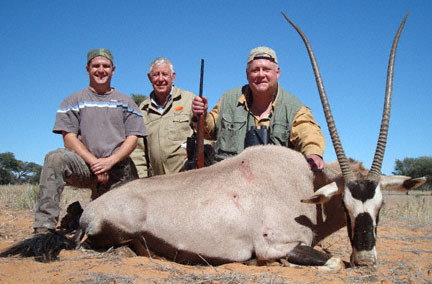 The Eland, Taurotragus oryx, is the largest African antelope and the males can weight up to 900kg (1985lb).